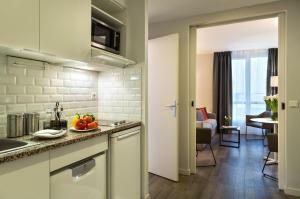 This Citadines is located in a residential area in Paris near Place de Clichy at the foot of the Butte Montmartre. 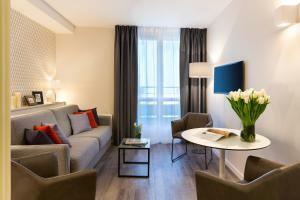 It offer furnished studios and 1-bedroom apartments, just a 10-minute metro ride from the Champs Elysées. 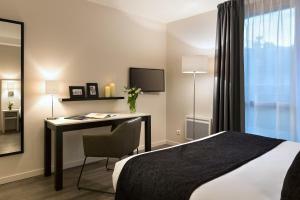 Citadines Montmartre Paris is just 200 metres from the Moulin Rouge and 1 km from the Sacré-Coeur Basilica. 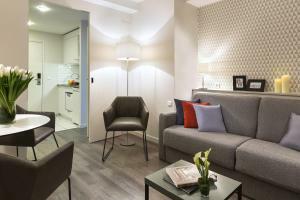 The property is a 15-minute metro ride from the Gare du Nord and Saint Lazare Station. 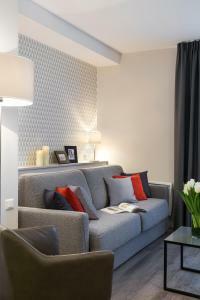 This studio features free WiFi access, a fully equipped kitchen and a flat-screen with satellite channels. 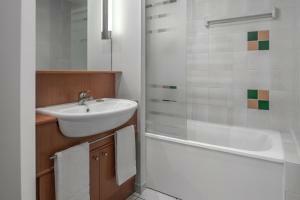 It also has a dining area and a private bathroom. Please note that no extra bed can be accommodated in this room. 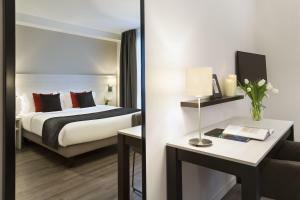 Rate: € 105.12 ... € 211.80; select dates below to get current rates. 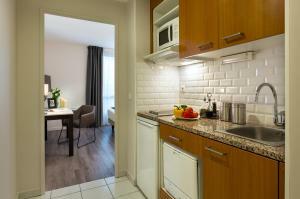 Free internet access, a fully equipped kitchen and a flat-screen, satellite TV feature in this apartment. Linen and towels are provided. 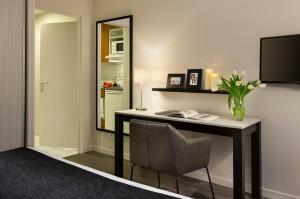 It is made up of 1 bedroom, a sofa bed in the living room and a bathroom with separated toilet. 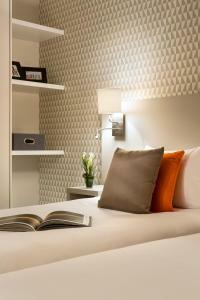 Please note that no extra bed can be accommodated in this room. 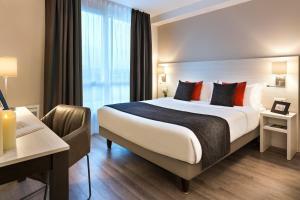 Rate: € 100.50 ... € 225.00; select dates below to get current rates.